164 Lucy Court | Eagle Idaho Real Estate | Think Alei. 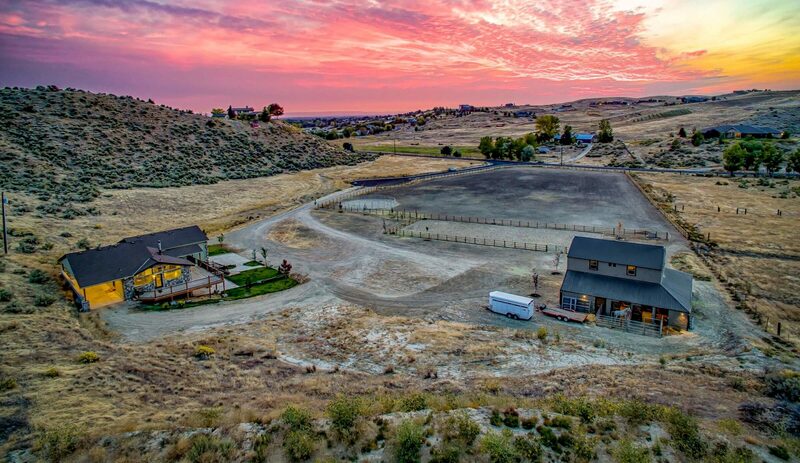 Wecome to a rolling hills equestrian estate in the Eagle Foothills. Fenced arena, round pen and barn with 8 stalls. Privacy, huge views, and city convenient make this Rim Home stand out. Second living area has full kitchen and separate entrance for multi generation. Large open kitchen area showcasing floor to ceiling windows, dual fireplaces and raw cut granite counters. Your Master Suite retreat has private deck and other luxury features. Convenient hidden carport at the back of the home with easy access to the kitchen. No CCR’s and ready for fun. See all pictures here. Call Alei at 208-573-1619 for a showing or complimentary buyer session.